Now, instead of toting a plastic bottle of water everywhere, the “in” thing is to carry a refillable bottle of filtered tap water — it’s better for you and the environment. 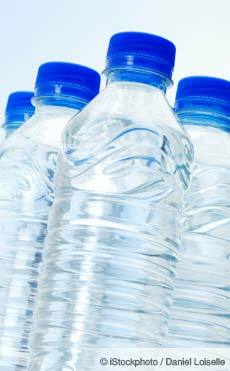 Plastic often used to make water bottles contains chemicals like BPA and phthalates, which mimic hormones in your body — and which can leach from the bottle during normal consumption. If you leave your water bottle in a hot car or reuse it, your exposure is magnified because heat and stress increase the amount of chemicals that leach out of the plastic, into the water, and then into your body when you consume it. So the container your water comes in should receive just as much attention as the water itself, and plastic is simply not a wise choice for a beverage holder from a health perspective … not to mention the extreme amounts of waste — 1,500 water bottles are thrown away every second! I suspect you’d agree that water is more a “right” than it is a commodity. And private corporations should have no more control over the selling of water than they do the selling of our air supplies. Well, this is already occurring to some extent as corporations make a profit selling water — which at times even makes water less available to the people living in the area.